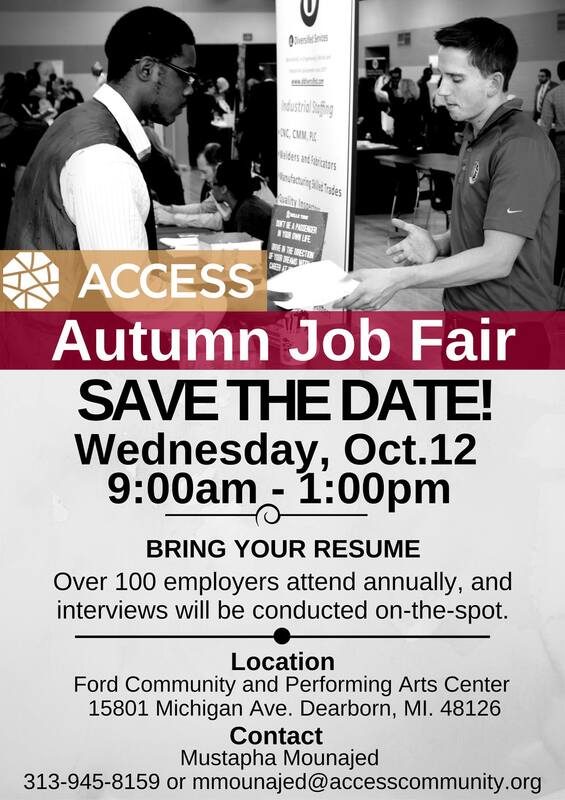 On Wednesday, Oct. 12, over 100 of the leading employers in Michigan and across the U.S. will be joining us for our annual Autumn Job Fair! Bring your resume and dress sharp! Interviews will be conducted on the spot, and making a good impression could lead to the job offer you've been waiting for! For more information please contact Mustapha Mounajed at 313-945-8159 or mmounajed@accesscommunity.org.